The big news in Florida this past week or so is the weather. We have had a week of freezing temps...literally. 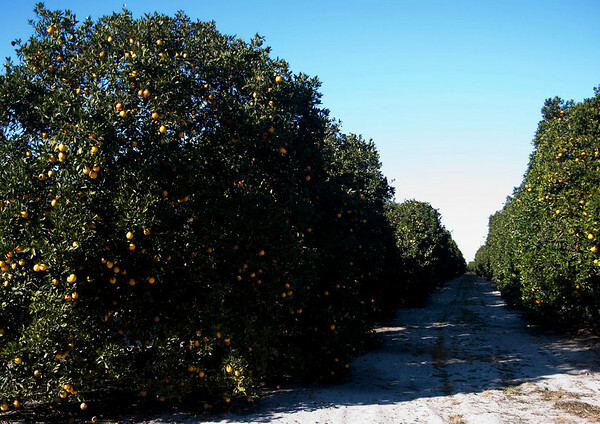 Not only am I tired of my toes being cold, but this is kind of a big deal for the citrus growers. It isn't so good for the fruit to freeze, so the growers do stuff to try to protect their crops. One of those things is turning on sprinklers...seems counter intuitive, but I guess it works.